Following your headline story this week - ‘Councillors urged to reject £240m Hightown waste incinerator plan’ - I felt a duty to respond. I am dismayed that Antrim/Newtownabbey Borough Council have decided to ‘commemorate the Easter Rising of 1916’. On behalf of Concern Worldwide, I would sincerely like to thank the readers of the Newtownabbey Times for your support during 2015. Your article “Closure fears for Ballyclare health facility” (January 14) stated that MindWise service users were told that the Resource Centre in Ballyclare may be closing in May or June of this year. 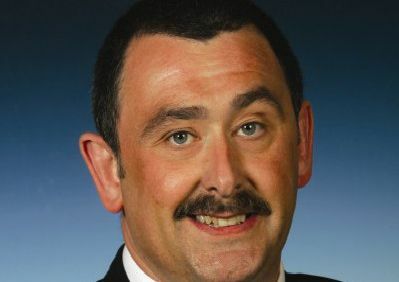 As a UKIPPER who voted TUV at the last Westminster and local council elections, I am amazed by the defection of Cllr David Arthurs to the Ulster Unionist Party. The Antrim and Newtownabbey SDLP councillors Noreen McClelland, Roisin Lynch, Brian Duffin and Thomas Burns feel that there is not enough spin in the world to make what happened last Wednesday in the Assembly appear the right thing to do. I own a small transport company in Ballyclare and have lived in the Ballyclare area all of my life (62 years). Having read the largest piece of drivel from an unknown pen (Plea for councillors to oppose ‘pagan practice’, February 12 edition), I would ask the writer to return to his bible and learn from it. I visited the Theatre at The Mill last week for the first time and would like to thank the wonderful staff and all involved in the production. As a citizen of the UK and more importantly of the heavenly kingdom by the new birth, one is sad to read of the hounding of Ashers Bakery. I am an Ulsterman living in Norfolk yet I keep atuned daily to events at home and occasionally visit friends in Newtownabbey. The ongoing wrangle over the now infamous sermon at Whitewell (Metropolitan Tabernacle) is an indicator of the openly anti-Christian direction our society is heading. I have been very encouraged to hear of more people in the Glengormley area availing of the excellent Neighbourhood Watch scheme, and this is happening with the help and guidance of our very efficient Neighbourhood Policing Team. Following Nigel Dodds’ letter attacking me and the UUP (Newtownabbey Times, February 27), several people in Glengormley said to me that they were surprised at the language used. It is with great sadness that the people of Newtownabbey will have seen that the UUP has nothing to offer except negativity with their latest outburst regarding the Valley Park redevelopment project (letter from Cllr Mark Cosgrove, Newtownabbey Times, February 20 edition). I have no doubt other parties are pleased that the Valley Park redevelopment scheme is going ahead. Indeed, unbelievably some others are actually claiming some sort of credit for it. Barnardo’s NI is campaigning to raise awareness of the urgent need for more foster carers in Newtownabbey. We, the members of Trinity Reformed Presbyterian Church in Mossley, were deeply saddened by the decision of the council to allow the Reduced Shakespeare Company’s performance of ‘The Bible: The Complete Word of God (abridged)’ to go ahead after all.